Posted on June 27, 2018 by Andy Higgs in Home. When it comes to the United Kingdom, tourists and Brits alike tend to forsake the weathered isles of Scotland for some of the more touristy places, such as the capital city of London and the beaches of Cornwall. This is a shame, as Scotland has some of the greatest landscapes and places of scenic beauty in the world; perfect for anybody with an adventurous spirit and the desire to explore. 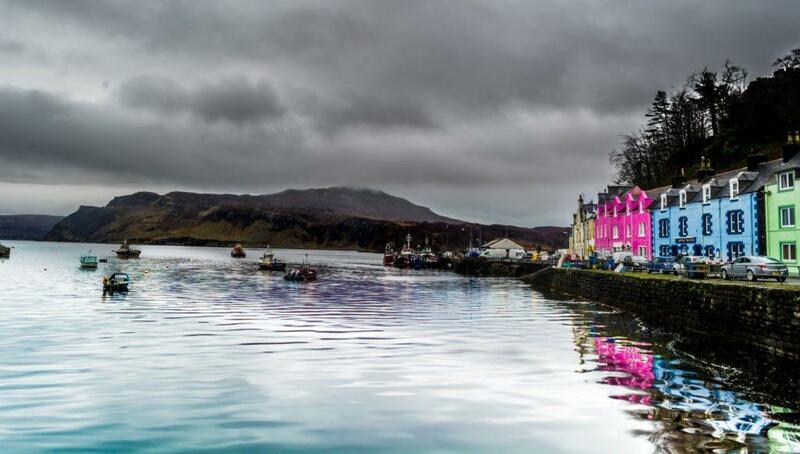 There are towns and villages off the beaten track that are simply magical, and the lochs, mountains, and castles around Scotland are simply breathtaking. So, when you’re next considering where to travel to next, think of Scotland. Pack your tent in preparation for a road trip, or compare campervans in Scotland if you prefer a few more home comforts, but want to forego the expense of a hotel. Here are our must-see places to visit in Scotland, but don’t only rely on our simple guide or any touristy guide book to steer your way. If you do visit this grand country, be sure you do some exploring of your own – you never know what you might find around the next corner of this magnificent country. One of Scotland’s scenic highlights, this may be a place with a bloody history, but it has since been voted one of the most romantic glens in the country. With hills and valleys perfect for hiking and exploring, cascading waterfalls to stand in awe against, and incredible wildlife to spot, from red deer to golden eagles, this is a place that everybody needs to visit at least once in their lifetime. Aside from walking (or relaxing) in amongst the spectacular scenery, there is much to offer those looking for extra excitement. You can snowboard, ski, and mountain bike at the Glencoe Mountain Resort, go kayaking or sailing on Loch Leven, and visit Fort William, the so-called ‘Outdoor Capital Of the UK for further climbing and walking adventures. Famous for it’s mythical monster, the Loch is surrounded by mountains, picturesque villages, and castle ruins. 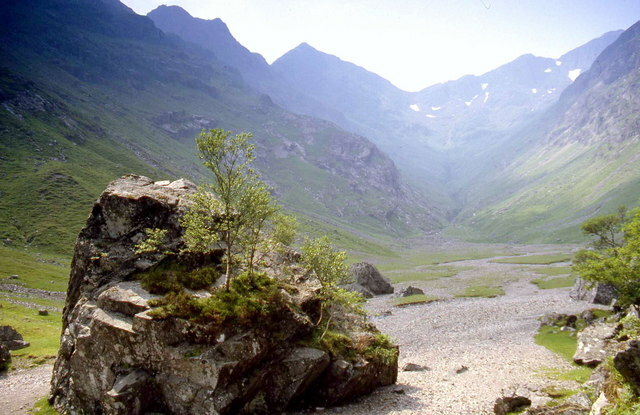 Set within the Scottish highlands, there is much historical significance beyond the famous myths. The aforementioned ruins are the remains of Urquhart Castle; dating back to the 13th century, this is a place where many ferocious battles were fought. Then there’s the Culloden Battlefield, a site made famous by the Jacobite Revolution, now containing a 20 ft memorial commemorating the lives of the men who lost their lives here. Check out Fort George too, another historical monument which remains almost intact, despite being built in the 18th century. And if history isn’t your thing, you can still explore the rolling hills, take a cruise on the Loch, and maybe (though unlikely) catch a glimpse of Nessie who supposedly takes up residence here. If you’re looking for a place to get away from pesky tourists, or are in need of a spiritual pilgrimage, then Holy Island is the place to be. Found off the West Coast of Scotland, the island’s spiritual heritage stretches back as far as the 6th century, and is currently home to a community of Buddhist Monks. However, you don’t need to ascribe to their particular religion, as this is a quiet place, a small island surrounded by beauty, that will give you perspective on your life and purpose, no matter what your beliefs. There are some rules you will need to adhere too – no pets are allowed and you need to stick to the paths (to protect the wildlife) – but if you are looking to get away from it all, and want to sit down with a good book or your own thoughts, this secluded part of Scotland will cater to any of you looking for a sense of peace and calm. 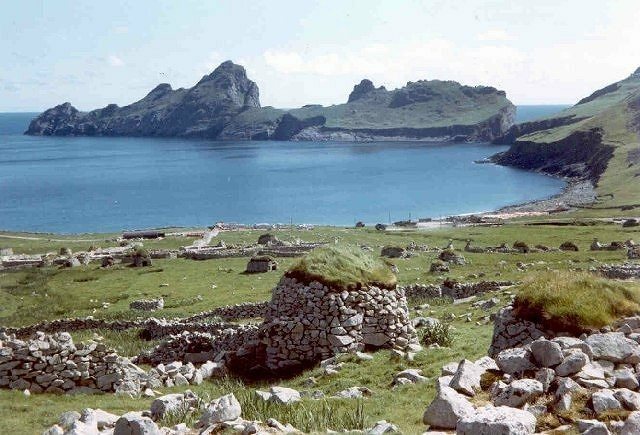 Described as the ‘islands on the edge of the world,’ this is one of the remotest parts of the British Isles. Home to a wide array of preserved wildlife, this isolated archipelago is an acclaimed World Heritage site. With clear waters and craggy cliffs, this is an area largely unspoiled by human hands, though visitors are welcome to explore under some guidance. Check out the wildlife, swim in the crystal waters, be on the look out for whales and sharks, and explore the ruins of ancient villages. Described by naturalist James Fisher as ‘haunting’ and ‘impossible to describe,’ this is one place that you may never forget for the rest of your life, a seabound spectacle you owe it to yourself to explore. People don’t really think of beaches when they are contemplating Scotland as a holiday destination, though this beach has been voted as one of the best in the UK! A perfect place to relax, you can also cycle around the area taking in the breathtaking mountain scenery, clamber over the dunes, and dip your toes into the clear blue waters. Beware, however, as while the sea evokes a Caribbean holiday, the water is decidedly nippy! Still, you can also take to the water by boat, or explore the nearby trails and white sandy beaches instead, if you are afraid of getting a little bit cold. There is much to explore in Scotland, and we have barely covered everything. Still, as we said at the beginning, don’t rely on this or any other guide to help you, as you can find something spectacular yourselves, provided you are willing to venture off the beaten track occasionally. Don’t forget to tell us about your adventures if you do!